Everybody needs stories. It’s part of what makes us human. Sometimes stories of love between women have been part of the fabric of some cultures. But more often than not, lesbian lives have been silenced and censored. I wrote Lesbian Style because I wanted to help make lesbian lives more visible. It tells the stories of some 21st century lesbian and bi women – sharing and celebrating what has been hidden or ignored. I loved doing the interviews with lesbian and bi women which informed the development of the play – hearing about first crushes, first kisses, first dates; getting together and splitting up; being out (or not) with friends, family and employers; the best moments and the worst. I laughed a lot. And I cried too. If you have half as much fun watching Lesbian Style, as I did writing it, then you’re in for a great night. 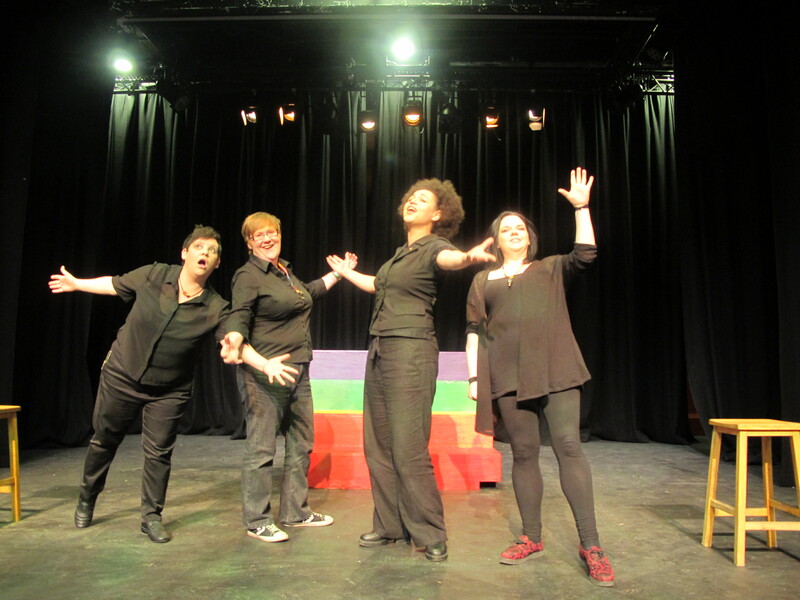 Come and see Lesbian Style at Derry Playhouse on 8 May and the Players’ Theatre, Trinity College Dublin from 12-17 May.